I admit I am clumsy. I do not like it. I cannot help it. Things happen and get hurt usually. I do not know how much I bump myself today. It is not even funny because it hurt like heck. I love to wear jewelry. 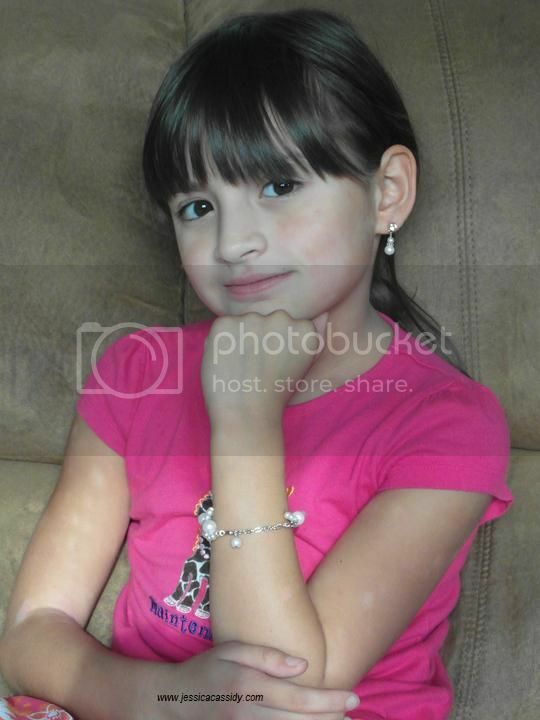 My favorite jewelry to wear are earrings and bracelet. The only thing I do not to wear a bracelet is when it is loose. I have a very tiny wrist. I even lost the watch that my husband gave me. It fell because the watch is little lose. I promise myself not to wear any expensive jewelry anymore. I do not like wasting the money. I still likes to wear bracelet. I wear a fancy jewelry this time. I have heard that there is a way to prevent from my bracelet not to get loose. 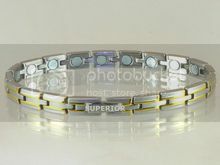 It is called a magnetic bracelet. Now this makes me excited. Finally my bracelet will stay longer in my tiny wrist. I won the earrings from a giveaway in Facebook. It is a thank you celebration for the Jamie Dornan fans for reaching 20,000 members. I am one of the million fans of Fifty Shades of Grey and that includes Jamie Dornan. I was surprise to won the earrings. I never expected that I won. 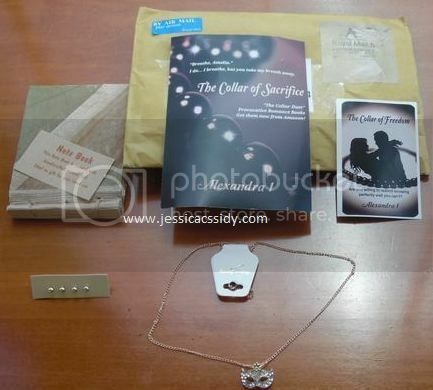 I do like to join a giveaway especially if I Ike the prizes. I was surprise to receive message that I won the earrings. I need to acknowledge or else they will draw a name for a new winner. I went grocery shopping when the giveaway ended. I also submitted my information. The prizes come from the United Kingdom. I really love my new earrings. I love the design as well. 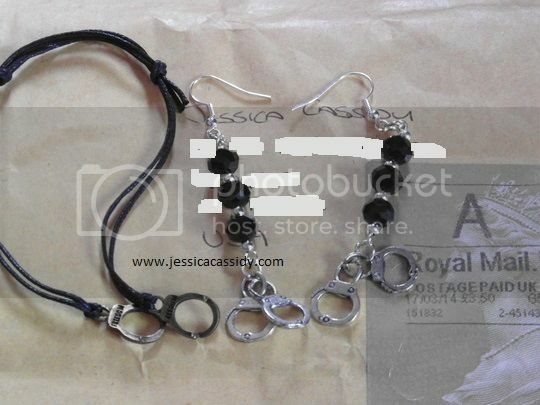 It has black beads with handcuffs at the end. If you read the books, then you know what are the handcuffs stand for. I also like the surprise gift that came with it. Here is I wearing my earrings from the giveaway that I won. 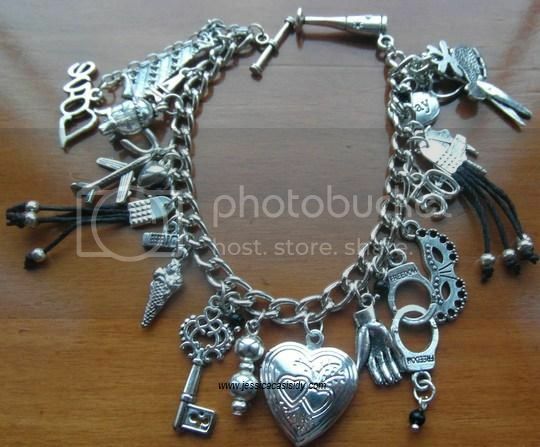 I also wear my Fifty Shades of Grey charm bracelets that items mention in the book. I also wear a long sleeve shirt from Victoria’s Secret that I order online few months ago. I am happy that I received free pearl earrings in the mail this week. I like to wear fashion jewelry. My main reason is I am so clumsy that I lost or forget most of the things that I wear or have. I am wearing them now to make sure my ears are not itchy. 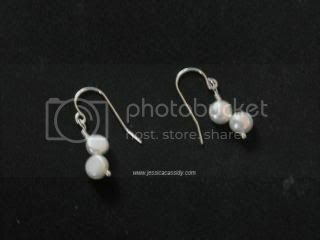 I got these pearl earrings as a token for promoting their Website. I like the pearl earrings because they are very light to wear. I like the pearl earrings because of the style and the simplicity too. What about you? Do you like to wear pearls? Do you have other favorites of stone to wear? I am linking this to 8th day of blog photo challenge and Wednesday Whites.